One of my favorite books that I read to my daughter when she was young was “Runaway Bunny” by Margaret Wise Brown. As we read together, the story unfolded as the little bunny kept threatening his mother that he was going to escape and run away. But, the mother spends time explaining to him the LENGTHS she will go to find her baby. 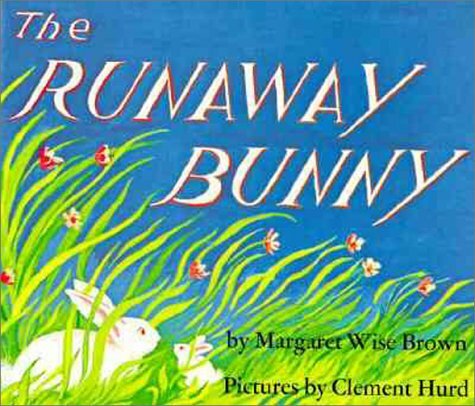 One line in the book is “If you run away, I will run after you.” The baby bunny imagines all kinds of ways to escape, but realizes (with much comfort) he will never be able to leave his home or his mother. What unconditional love! What comfort! We as adults have our very own “story” that can be read to us about our loving Heavenly Father who loves us unconditionally. Our “story” is found in Psalms 139. As adults, we do not have to fear being alone either. No matter what we are going through, trying to escape from, or run away from, we cannot go anywhere that the Spirit of God can’t find us. Actually, as the Psalmist writes . . . He is ALREADY there!! !